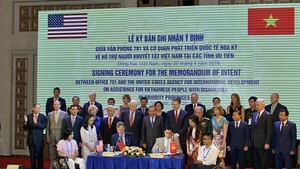 The State Securities Commission says 50 more companies are likely to list on the Ha Noi Securities Trading Center and 20 more on the Ho Chi Minh City Securities Trading Center by the end of this year. Credit for the rapid influx of new listings is given to the two-year exemption of corporate income tax on companies that list before January 1, 2007. The market regulator says it will try to list all the qualified companies in time to, quote, “enrich the securities market as well as facilitate companies’ development”, unquote. The State Securities Commission has licensed five more securities companies to bring the total to 21. 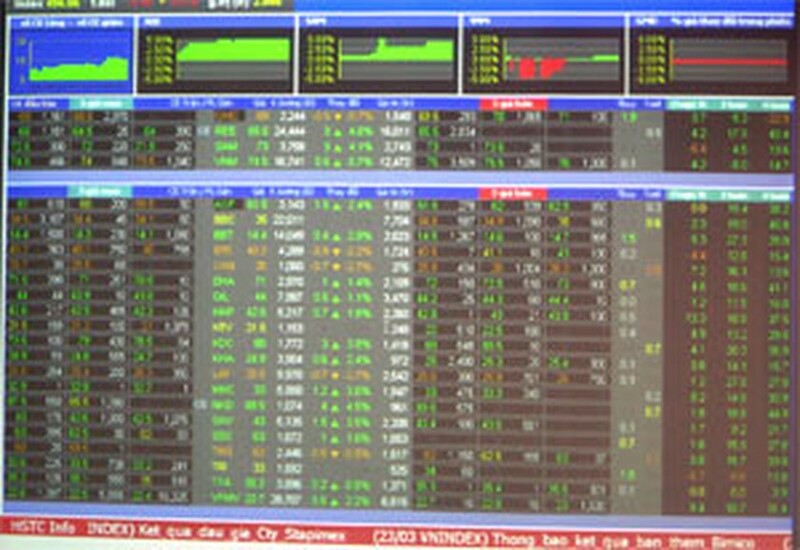 The new joint-stock securities companies, as they are termed, are Phu Gia, Huong Viet, Rong Viet, Tan Viet and Dai Duong. Also, a securities subsidiary of the International Commercial Joint Stock Bank has just commenced operations in Ha Noi. The State Securities Commission has licensed 12 auditing firms to audit share issues, new listings and securities traders from January 1, 2007. They are Auditing and Accounting Co., D.T.L. Auditing, Accounting Financial Consulting Co., Auditing and Accounting Services, PricewaterhouseCooper Viet Nam, KPMG, BHP Auditing & Accounting Consultancy, Auditing and Consulting Co., Viet Nam Auditing, Vietnam Auditing and Evaluation, Ernst & Young Viet Nam, and Auditing and Informatics Service Co.